This post is about loyalty. Loyalty is about people’s willingness to stay as a customer or re-purchase when the time comes. Attrition is about customers leaving the company (defect). For one reason or another customer relationships end inevitably, in grave at the latest. Here are some learning’s about reasons for attrition and ways of avoiding it as well as possible. Most established companies could get enough new customers relatively easy. The biggest effect on revenue comes from attrition. In many cases new customers could take two years to breakeven. When any customer who has been a customer for more than two years leave or stop buying repeatedly, it’s directly away from profits. If customers leave before breakeven, their effect has been negative. The easiest profit increase would be an outcome of increased loyalty. Most loyalty programs don’t deliver brand loyalty, really. That is due to the fact that people have all loyalty cards and they pick cherries from where ever they happen to find best offer at that point. Points based loyalty programs are often buying loyalty from customer. You get more discount when you buy more and you get offers only available for members. Loyalty program effectively lower the best customers profitability. It’s completely rationally driven model that create a behavioural pattern for customers to buy when it’s cheap. Naturally, they don’t if you don’t have an offer for them. Most often, members also get bulk messaging in which there is nothing personal. A membership equals the license to sell. Selling is often positive. Customers consider selling as active relationship in which the company is offering new services and value for them (servicing by selling). Buying several solutions from a single company result stronger relationship and lower attrition probability. Everything above is basically positive, better than no program. However, when customer relationship is based on rational decision, another company with more aggressive approach can do considerable damage. Newspaper and magazine subscription sales are a great example that illustrates what kind of damage you can do to the market with your own actions. Short-term victories could easily result long-term losses. Similar fight has also been raving around mobile handset and connection plans. When companies are concentrating on new business, they easily neglect the effects of such orientation to their current customer base resulting negative churn. Another example could be mortgage marginal wars, selling home loans at almost non-existent loan marginal just for the sake of market share. People could be lazy but they are not dumb. If loyalty becomes twice as expensive compared to small efforts and feels unfair and at worst offensive. Such strategy is not likely to create a lot of sympathy or feeling of being appreciated as a customer. If you are making strong offers, you need a justification for them. Justification equal short term and special conditions enabling such offers. If you don’t have justification people start expecting lower rates in general and just stop buying at normal price. Rational loyalty is a strategy that works for price fighters and low cost offerings that don’t have a brand or other competitive tools. For others, rationally driven programs without further consideration should be considered dangerous. Buying loyalty is bad for business. In many cases one of the strongest driver of loyalty is the brand. Brand as a whole has its foundation in customer experience, quality, integrity, service, ethics, corporate responsibility and values. If the brand feels right for the customer he’s less likely to consider competitors. Also, the loved brands don’t lose customers without warning. If customers love you, they let you know if your pricing or position is having a strong challenger and they actively ask your approach to the situation. Emotional loyalty is not price driven. You can have healthy margins and customers accept it. In such a position customers also offer their helping hand and are much more open to participate in open innovation dialogue or giving you advice how to improve your service even more or what new services they would love to buy from you. As the world is becoming increasingly transparent any actions the company does influence the brand. Where is the production done? How does the employer take care of employees? How environmentally conscious the company is? What kind of values the company is having it’s foundation on? How do those values show for me as a customer? In current business environment there’s too much of everything all the time. It’s very difficult to differentiate yourself by offering or pricing. For customer loyalty programs stand for them showing their loyalty to the company. There are stages from bronze to gold and your role is to climb up that ladder. If you do, you get stuff even cheaper. Great. Completely opposite strategy that is more emotionally driven is to consider how the company can show loyalty towards the customer. How do you take care of your customer? How do you make certain that the value you are delivering to your customer becomes even higher. How do you solve problems that your customers have? IKEA is an amazing case of combining rational and emotional value in to a complete package. IKEA has justified their “democratic” business approach by making it clear to all customers why they can offer premium quality at low cost. How they are solving your challenges at home at affordable cost. IKEA marketing is about Scandinavian design, the advertising highlight high quality and beauty and the prices next to products are not the core message, but they effectively look like a bargain in that context. IKEA Family loyalty program is quite rationally driven but the company brand has more to it. IKEA’s service processes are also in place and it’s easy to return or exchange purchased products without questions asked. Once you have visited IKEA, the other options don’t really feel the same ever again. If IKEA had chosen to emphasize price, they would have been just another low cost player and would never have become such dominant global player. In most businesses there comes a time when customers re-consider whether to buy the same brand again or to buy something else. If the customer is involved in continuous relationship it requires active sign-off from the current relationship. If you can turn single purchases in to continuous relationships in any way, you are likely to drive much higher loyalty. That’s the best part. Once the customer is engaged in continuous relationship it requires time and effort to close it. The best psychological themes for loyalty are: laziness and minimizing points of discontinuity creating experiences like billing. One of the great ways of improving loyalty is allowing customers to have automatic payment methods directly from account or via credit card. As a result customer does not get direct invoice for the service delivered but it’s included in credit card invoice or directly paid from account. Attrition probability drop is quite significant with such a method. Actually, customers find out about the invoice after it’s already paid. Another great way to avoid attrition and increase predictability is to sell service for certain period of time. When people establish behavioural patterns like reading a newspaper every morning, their likelihood of attrition is much lower. Habit based loyalty is really about keeping the status quo. Low profile and making certain that there is no need for active consideration for the customer enable very profitable type of loyalty. If you have any way to enforce habits you should take them. If the business environment is turbulent and advancing very rapidly you could come to situation where your existing customers are clearly paying too much to the point where you just can’t justify it anymore. Finnish telecom operator Elisa doubled broadband customers speed twice in two years because the price of bandwidth was decreasing so rapidly. This approach generated strong loyalty and healthy margins because the brand actively improved service level according to market conditions. Such approach strongly enforced customer’s habit and decision to stay with the company instead of changing to another one. Combination of rational and emotional response enforced habit. Another fantastic case of habitual loyalty is online banking. The first online bank was issued in Finland and since then the whole retail banking has changed completely. People no longer have a reason to go to the bank. They can take care of all their finances online. As an outcome people have become user interface loyal. Only in case of major need for relationship driver service, like mortgage, people would consider changing their bank relationship. Relationship driver services are major issues that are big enough to question the current relationship. This is rare though and in case the bank meets, even close, the other offers, people will stay. 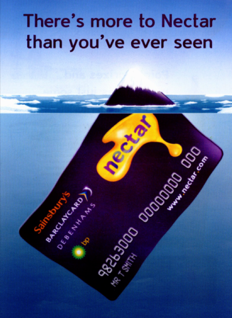 Online banking is like water, as long as you get it when you need it, there’s no problem. If you don’t, you have a major problem. If the service keeps on going there’s nothing to question the current relationship. Online banking enabled huge cost cuts and automated service processes. Cost to serve is now marginal. Previously most of the profits had come from bigger investors and bigger loans. Once online banking was introduced and became a habit for customers, the vast majority of customers became profitable. Banking margins and profits have grown and the profitability has increased without attrition. Especially in case of professional service, customers are not necessarily loyal to the company, but person they are in relationship with. If customers get imprinted to their counterpart and the person stays with the company, relationships could be very strong emotionally, rationally and habitually. Trusted person can be an enormous asset for a company. The online revolution has diminished the role of person-to-person relationships in consumer businesses. The role of brands and trust in service processes has substituted the void to some extent. It’s not quite the same but works too. The company’s customer interface, people servicing customers should still be trained to reach for such relationships. The brand is as good as the person representing it. Some major hairdresser chains evaluate their employees based on the fact, how many of the hairdresser’s customers book their next visit for the same hairdresser. This measure is beautifully simple and revealing. Being a great hairdresser is not just about the quality of your work, it’s very much about the whole experience. Especially women open up and discuss at the hairdresser. They could easily spend two hours with the hairdresser and spend a lot of money on the experience. It’s about being heard, appreciated and pampered along with getting your hair cut and dyed. In car sales it’s a known fact that the best car salesmen have customer relationships that follow them and exchange from one car brand to another just because the person is advising them to do so. Getting people imprinted to the people they are buying from should be considered as a strategic loyalty approach. In business-to-business customer relationships the change of contact person is one of the most likely discontinuity probability increasing situations. Relationships are personal and the new person equal almost the same as changing the partner. It is really important to handle such situations carefully. Mobile operators in Finland suffered from very high attrition rates after number portability was enabled. Churn rates reached +30% level even though customers were very happy with their operators. Customers want to have a new mobile phone every two to three years. The need to get a new handset created natural discontinuity to relationship. Mobile operators have oriented at offering good deals for new customers and winning higher share of dynamic market. This orientation led to higher advantage for changing a company than staying with the current one. These operators had same level of perceived value and customers had rarely real preference. Most customers had only options that were equally good in general. Only differentiating factors were the brand communications and current offers. The operators started selling customers 12 month agreements, which offered lower cost calls in the evenings or weekends. These agreements sold quite well and led to lower attrition rates. Once 3G bundles were introduced they included 24 months agreement and were sold with handset subsidies. Against your 24 months agreement you got the mobile phone at half price. These agreements dropped attrition rates below 10%. In other words agreements offered steady relationships and predictability. As a result mobile operators profits increased and people purchased more expensive mobile phones, which enabled major increase in the use of data creating completely new mass market. Everybody won. After the 24 month agreements ended, the attrition rates increased back to 15-20%. Although the attrition rate increased, they didn’t reach previously familiar 30% rates. 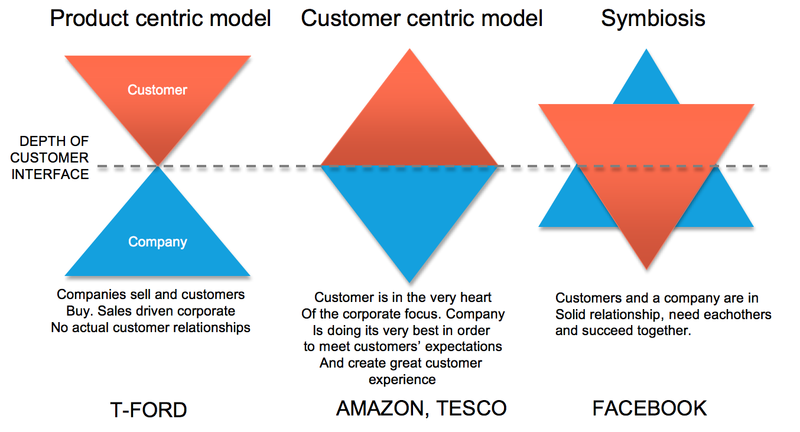 If customer is not really experiencing very bad service, they are likely to stay in the current relationship. Human nature is lazy and towards many product and service ranges, indifferent. If customers are happy, they could ask offers just to bargain with current partner. That’s still better than losing clients. People rarely start actively comparing other options if they are satisfied. If they do, it’s most likely to check the pricing. In order to gain market share in a business like this brand has to actively sell and create discontinuity with sales. Electricity agreements are great example of this. Very few people compare electricity pricing and actively change a power company unless it’s actively sold. When you get a call offering you -5% and the power which is produced with water and greener than your current option, it’s easy to agree. Even better, the new company also close the previous deal so that the only thing you need to do is say ”yes” on phone. It is possible to surprise a competitor with heavy attack in a case like this. Unless the competitor has closed agreements for certain period of time, they are likely to lose a lot of customers almost over night. Who would start comparing for 5%? Very few would. Who would accept such offer when it doesn’t require any effort? Quite many will. Only thing hindering people to accept such an offer would be to tie them in the relationship with an agreement for certain period of time. What could you sell your customer to make him dependent on you? In case of larger IT companies, structural bonds are the biggest driver of loyalty. When you buy an ERP (Enterprise Resource Planning) system and your company becomes completely dependent on it to function, you certainly have bought a structural bond. It’s an interesting approach to loyalty to create value in which the customer becomes dependent on. There’s interesting consumer applications to this too. When Polar Electro introduced their wrist top computers with heart rate monitoring they soon created online Personal Trainer to supplement additional training advice for users beyond possibilities in the cadget in it self. Personal Trainer recorded all your training to a database and created record. It helped analyzing your training requirements and results very effectively. In early 2000 this was a ground breaking innovation. When all your training history was online, Polar Electro had a structural bond on you. If you wanted to change to more advance training tools, you had to buy another Polar wrist-top-computer in case you wanted to keep your training record ongoing. Currently mobile phones have same functions and you can use variety of platforms for storing your training history. These platforms effectively still create structural bond although it’s now cadget independent and available to iPhone, Nokia and android. Still, Polar Electro’s Training Tool is an effective loyalty driver for everyone who has been using it for the past decade. Facebook also has such a structural bond, your friends that are already there. When everyone is already there, it becomes very difficult to leave and completely stop using it. It is also very challenging for other services to get really active users, because Facebook is a strong habit and it holds your entire social life and has become big part of yourself – part of who you are and how you represent yourself to the world. No matter what you do, some customers will leave eventually. Still, applying effective win back strategies could diminish negative churn. One company actually managed to winback 80% of already lost customers. Win back operation was probably the most profitable function the company had ever created. When you are trying to develop your company’s customer relationship excellence, you can’t just look in to customers who are happy. Their responses will only strengthen the status quo and hinder innovation and adaptation to changing business environment. Lost customers on the other hand are a great source of insight and improvement advice. Any information that help you predict discontinuity, increase the probability of re-purchase, or shield customers from competitors influence and decrease retention clearly increase profitability. When you are developing your offering and customer relationship, you should try to recognize the contexts and motives your customers are using your products and services in and what is their value in use. Understanding value in use and delivering a service experience hold insights for improvement and innovation. Single purchase could be changed in to continuous relationship by turning your product or service in to a platform that allow creation of even higher value and new solutions that increase value, profitability and scale. You need to have a communication channel with customers. If you have a loyalty card offering or continuous relationship that is easy. If you are selling 3i- services or products (high investment, -interest or –involvement), people are willing to give their contacts for you. If you are in FMCG of CPG business, you should still strive to get people to connect with you directly or using platforms like Facebook or Twitter. Direct connection with your customers enables feedback, advice, and introduction of new, capturing dissatisfaction and making it right. Connection to customers is vital for improvement and creating a feeling of relationship – it’s the company’s most valuable asset. It should be taken care of keeping that in mind. If you collect data from your customers, they expect you to use it. Asking questions from customers and capturing their customer behaviour on card transactions equal promise. Brand’s responsibility is to redeem that promise. Communicating personally is respect. Understanding customer and communicating personally show appreciation and create emotional loyalty. Asking questions and responding personally is rarely used method of engaging and creating emotional relationship that is capable of breaking habits and creating new ones. Analogical is becoming premium in the era of digital communications. Face to face, phone service by a person and traditional mailings are becoming statements of respect and appreciation in highly digitalized businesses. Just think about receiving a letter from Facebook or Apple. That would really be special J A hand written note as a letter would really indicate that someone has taken the time to consider you personally.